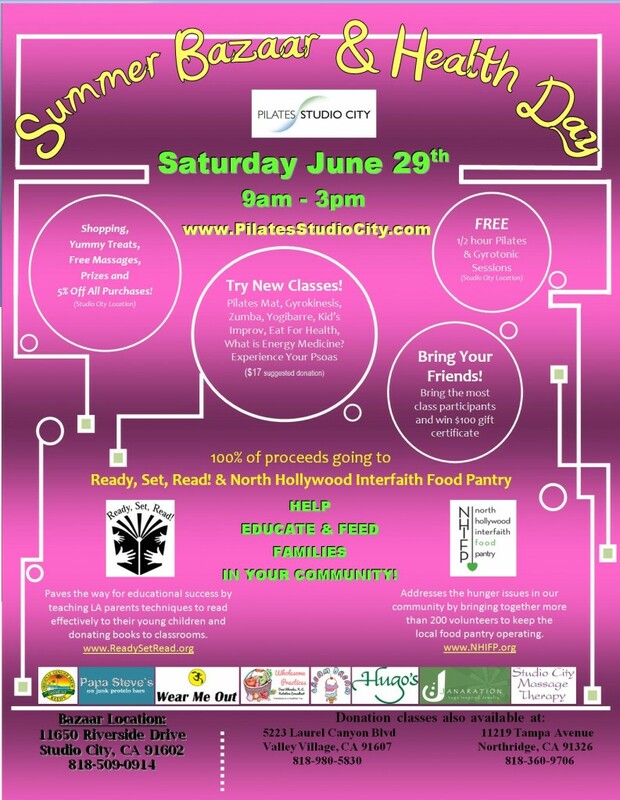 Summer Bazaar & Health Day Fundraiser, Free Classes & YOU! Join us on June 29th, 2013 for a fun filled day of classes, lectures, massages, shopping and more while helping to raise funds for your local community! Check out details below! 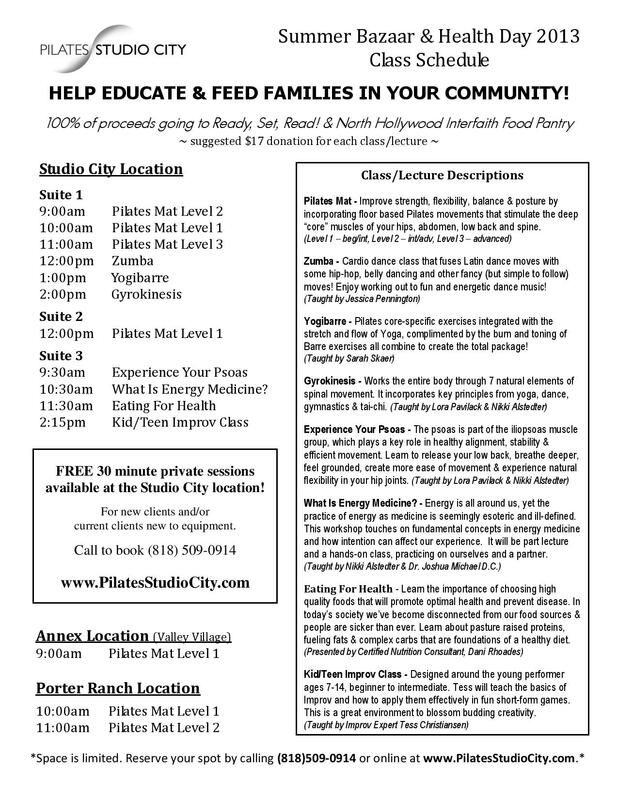 Click here to register for the donation classes & lectures.